In recent years, a device that has swept the world by storm is the controversial e-cigarette. An e-cigarette is a battery operated electronic cigarette, or as it is more commonly known, a “vape.” The device creates smoke-like vapor, often laced with nicotine, that can be inhaled and exhaled similar to smoke from a cigarette. This provides the look, feel, and buzz of a cigarette without any of the chemicals associated with traditional tobacco. While this may appear on the surface to be a great help for smokers trying to quit, there are some underlying issues with e-cigarettes that can cause a person to suffer injury or harm. This has caused these devices to be the source of controversy across the nation. In spite of their lauded usage for quitting smoking, e-cigarettes pose hazards to consumers that are not normally taken into consideration. For instance, e-cigarettes have become both popular and readily accessible for youth. This can lead to nicotine addiction without even having to ever smoke a tobacco cigarette. 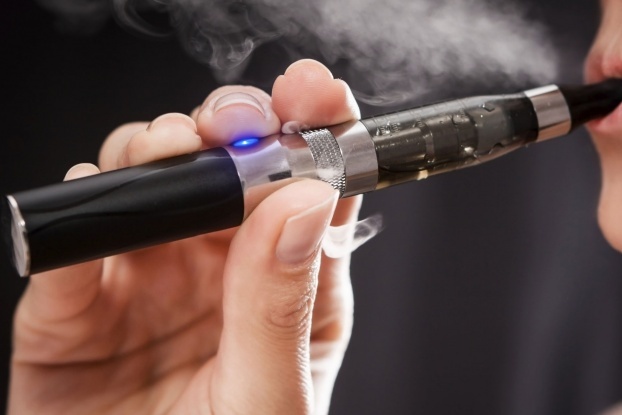 There have even been several cases in the news regarding e-cigarettes that suddenly and violently explode, often hospitalizing the consumer making use of the product. The most common cause of this is an unrestricted market of these devices allowing for lower quality goods to get to store shelves. Lower end, easily purchasable e-cigarettes are often a hodgepodge of shoddily made parts from all over the world. The lithium-ion batteries that power these devices can be particularly volatile, if they are not up to proper standards. Without regulation, these devices, in spite of their intent, seem to be doing more harm than good. All of that is about to change as the FDA has recently put federal regulations on e-cigarettes. The FDA has debated and tried to push forward the potential rules for regulating e-cigarettes for over two years now. As of May 2016, these regulations are now set into motion. The first of which prohibits the sale of e-cigarettes to people under the age of 18. Further regulations prohibit the distribution of free samples, such as demonstrations or samples of e-cigarette “juices.” There is also a ban on the sale of e-cigarettes through vending machines, unless they are in secure establishments that do not permit minors, such as a bar or night club. Also, similar to real cigarettes, e-cigarettes must now contain warnings on all their packaging. The warning must show that the device itself can make use of nicotine, and must also state that nicotine is highly addictive. With regulations now in place, hopefully will these devices hopefully be made safer for their intended use, which is to help smokers find a better alternative to cigarettes. If you or a loved one has been the victim of an incident involving a malfunction of an e-cigarette, or another injury, contact Tenn And Tenn for a consultation with a New Hampshire personal injury attorney to get fair and proper compensation for your injuries.